Easter Weekend is finally here and with it the promise of a lazy lie in, a greedy amount of chocolate and much needed quality time with friends and family. To get the most out of the long weekend I've got some ideas of things to do in the North East this Easter. Enjoy! If you're anything like me at least one day over Easter Weekend you'll be heading to Newcastle or the Metrocentre for a spot of retail therapy. I love shopping for new clothes at this time of year as I'm a complete sucker for the pretty pastel colours that hit the shops every Spring. Clear out your wardrobe, banish the jumpers under the bed and get your wardrobe updated ready for the warmer weather. Embrace your inner child and get messy in the kitchen this Easter Weekend with a good old classic - Easter nests. I used to love making these as a child and if you go all out and get some fluffy yellow chicks and mini eggs to sit on top I promise you this will be the most fun you've had in ages! Easter is all about the eggs so what better way to celebrate Easter than with a long and indulgent Brunch in Newcastle? There are so many fantastic places in the Toon to enjoy eggs served anyway that you fancy. 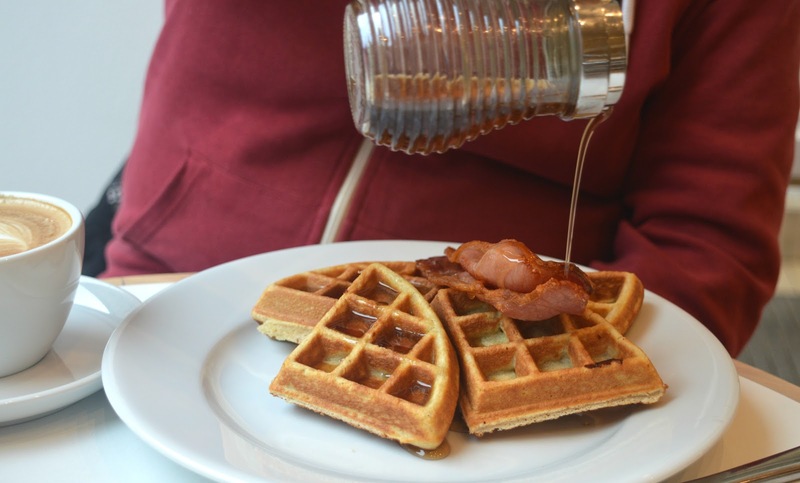 Check out my Brunch guide for some ideas and get ready for a morning of indulgence. 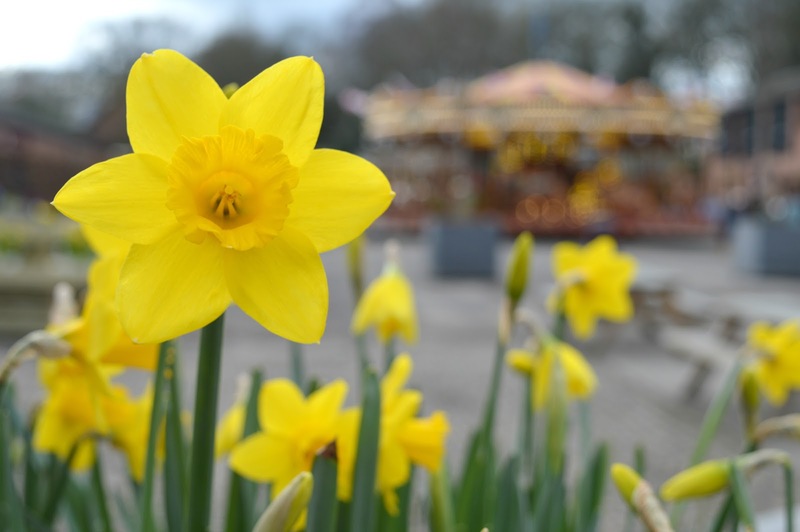 Get out in the fresh air for a little stroll amongst the daffodils. Nothing gets me in the mood for Easter more than finding large displays of sunny daffodils, they never fail to put a smile on my face. Head to Warkworth Castle for an impressive display to remember. I know that this doesn't sound like a terribly fun way to spend your Easter weekend but I bet that you'll thank me for it next week! The long weekend is the perfect time to give your house some much needed attention. Throw open the windows, stick on some tunes and get busy with the duster - it's time for the annual Spring clean! One of my favourite parts of Easter Weekend has to be sinking into the sofa to enjoy a Cadburys Creme Egg (bliss!) but if you really want to push the boat out why not go even better and indulge in a Creme Egg Brownie. You'll find them popping up all over Newcastle but I recommend trying out Pet Lamb Patisserie, The Brownie Bar or Great British Cupcakery for your cheeky Easter treat. One of my favourite things to do over Easter weekend is see some lambs and the best place in the North East for that has to be Broom House Farm near the National Trust site at Wallington. Spend some time in the lambing shed and if you're lucky you may get to see one being born. If you're feeling super enthusiastic you can even sign up to be a Lambing Apprentice. 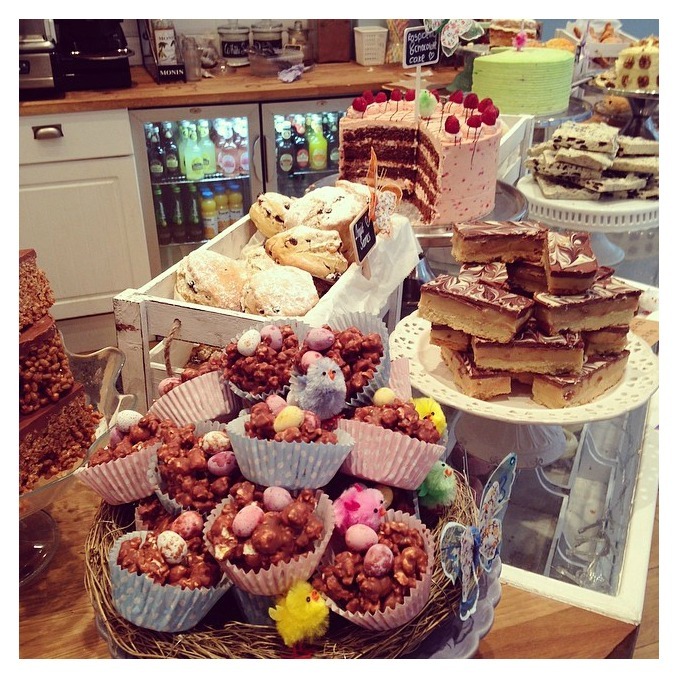 Fat Hippo know how to celebrate every great event and Easter is no different. They will be serving up their special Easter Menu from 12 to 17 April and this year it looks particularly delicious with the Beaster Honey 2.0, Mac n Cheese Fries, Creme Egg Cookie Dough Pie and Mudbath (the most amazing Easter thick shake you'll ever have!) For all of the details check out Fat Hippo's Easter Menu here and don't forget to Join The Herd to earn yourself some points. If you weren't lucky enough to catch a glimpse of the Easter Bunny then why not head to Hall Hill Farm in County Durham for some rabbit cuddling and if you're very lucky you could also see some lambs and indulge in a few cakes in the tea room. I'd love to know what you're up to this Easter Weekend, I'm always looking for more inspiration and with a 4 day weekend to enjoy I have a diary just waiting to be filled. I'm having brunch with my uni friends to meet one of their new babies on Saturday and an Easter egg hunt Sunday. Then Monday we are getting our living room decorated. Is there anything special on at the castle over Easter? The Great North Museum: Hancock is exhibiting Roman cavalry helmets. Love this! we are off to london so will miss out on the usual hunts etc, but sure it'll be good fun! Wallington is brill! I've never tried a creme egg brownie despite drooling over plenty on Social Media! I think you should make the most of the long weekend and tick something for your 40 before 40 list!